Remember the introduction to Portlandia, the satirical sketch comedy about Cascadian urban life? Like Jason, I am bustling with excitement and eager to tell you about my recent adventures in a city that is leading a revolution (of sorts), one pedal at a time. Imagine when bicycling was the primary mode of transportation, when you were more likely to hear the blissful sounds of a bell than the blaring interruption of a car horn. Envision a place where the majority of bicyclists felt safe and where people of all ages road in all directions. Consider a time when the bicycle was used for utility, convenience, and affordability. In this age of the automobile, one would think this place would have died out years ago. But that cycle-centric place still exists: Copenhagen. With a few university credits to finish and a fascination for all things vélo, my two-wheeled explorations led me to Denmark, where I spent almost five months studying, socializing, and yes, riding with the Danes. 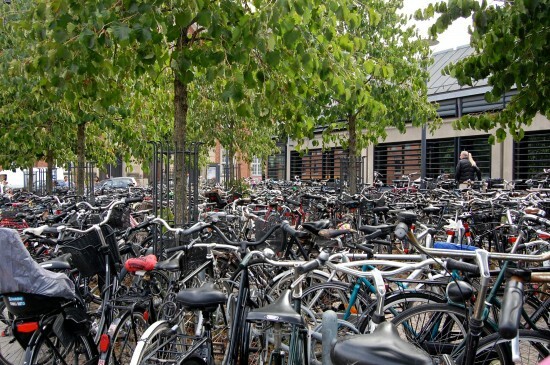 A city where there are more bicycles than people, Copenhagen is a fascinating example of how cycling can become a conventional rather than alternative mode of transportation. With nearly 36% of all Copenhageners bicycling to work or education, Denmark’s capital is one of the world’s leaders in bicycle-oriented planning. As the environmental realities of car dependency contribute to the growing impacts of climate change, even cities in North America (such as Davis, Portland, Vancouver, and Victoria) are looking to ‘Copenhagenize’ their respective urban cores. It’s not surprising that a recent survey found that Copenhagen cyclists reported ‘it’s fastest’ and ‘it’s more convenient’ as their most popular reasons to hop on the saddle (note that ‘environmental concern’ was the least popular rationale). If one begins to think of urban bicycling through a utilitarian lens, then the reality and logic of a bike-friendly city begins to make more sense. Urbanites who work within or close to the city want to get from point A to B in the quickest and most cost-efficient way. For most Copenhageners, the bicycle is the answer. The city’s ongoing efforts to update and expand its bicycle infrastructure, while simultaneously making it more difficult to drive, have proven effective. Cycling infrastructure increases rider safety and the likelihood of broadening and expanding cycling ridership. And when you’re a city where it feels like ‘Critical Mass’ happens everyday, you can afford to sugar coat the infrastructure, such as adding automated bicycle counters and creating an “I Bike Copenhagen” phone app. With all of these successes, Copenhagen’s cycling revolution isn’t slowing down just yet. The city has set ambitious targets, aiming for a 50% bicycle mode share between 2015 and 2025. When you have a city where ‘people happen to ride their bicycles,’ gone are the fancy lycra jerseys, reflective jackets, and in most cases, helmets. Copenhagener’s have become so dependent on the bicycle that nearly 75% of them ride throughout the year- and this is a city with a bearing that’s five degrees north of Vancouver! In some ways, cycling is a lifestyle choice, but one that is a norm rather than an alternative. The Danes realize that when you travel on a bicycle, you improve your personal health, help reduce vehicle traffic and greenhouse gases, and contribute to city life in one of the most convivial ways possible. Stay tuned for future posts on the specifics (and potential critiques) of Copenhagen’s cycling solutions and how these lessons are applicable and adaptable to the cities we live in. 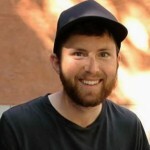 Andrew studied Human Geography at the University of Victoria and hopes to pursue a Masters in Urban Planning. He often posts urban and bicycling related phenomena here.